CerMax crucibles are available in Alumina and Magnesium Oxide in a wide range of sizes. 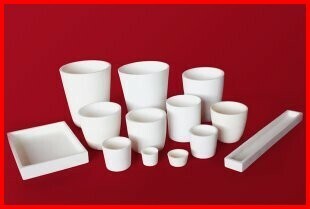 Ceramic crucibles are used for a wide variety of high temperature uses, usually for holding or melting metallic parts. Cermaic crucibles are available in a variety of shapes and dimensions. These crucibles are custom machined, so please allow a few days to produce.